My FAVE of the Ninja Coffee Bar Recipes - Make a Pumpkin Spice Latte! Have a Ninja Coffee Bar then you need these Ninja Coffee Bar Recipes! Get ready to make the most delicious coffee drinks, lattes, and cappuccinos all at home with these amazing and easy Ninja recipes. I received the Ninja Coffee Bar at no cost to facilitate this review. All opinions are my own. It’s one of the season’s most popular drinks, and one of my favorite Ninja Coffee Bar recipes, and you can find it on the menu at just about every coffee shop in town. But what happens when you’d like a Pumpkin Spice Latte sometime in the year when it’s not October? Or when you just want to enjoy a PSL in your yoga pants at home! You become your own barista with this amazing new brewer from Ninja… the Ninja Coffee Bar. When my husband saw another coffee brewer on our counter the morning after the Ninja Coffee Brewer showed up on our doorstep, he rolled his eyes. “Why on Earth do we need another coffeemaker? 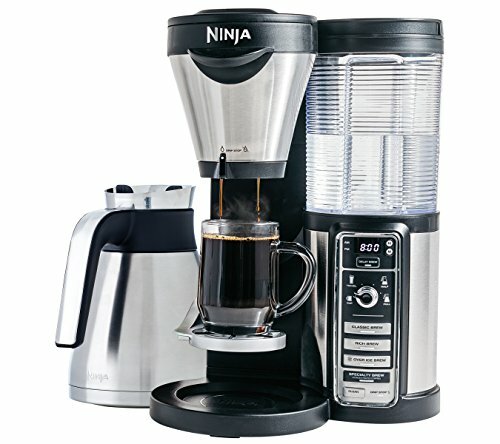 We already have one.” Ninja Coffee Bar Brewer DEAL OF THE DAY! I replied with, “Oh, just you wait!” You see, I had read all about this machine and knew exactly what it could do [and all those coffee recipes swirling in my head] and how I was pretty sure it would replace our love for our single-cup coffeemaker very fast. 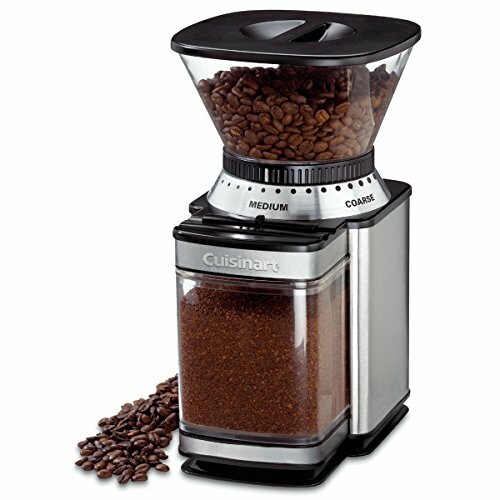 Fast forward to a month after having the Ninja Coffee Bar and guess how many times our single-cup brewer has been used? Twice. 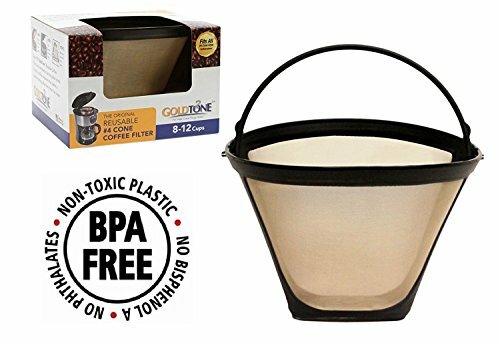 We went from making 3 cups a day [with 3 separate pods, I know, I know] to using it 2 times in an entire month. The Ninja Coffee Bar has completely transformed our coffee habits in the totally best ways possible AND now hubby admits that it’s his favorite way to enjoy coffee. First, the Ninja Coffee Bar actually replaced our single-cup machine because it can do just that… make a single cup of coffee. Auto-iQ™ One Touch Intelligence Technology delivers customizable options without guessing how much water to add each time, for smooth, rich coffee in a cup, travel mug or carafe. A typical morning for 3 cups of coffee is a 1/2 carafe for us and it’s so easy to choose the amount you want to make with the turn dial clearly labeled on the machine. With 4 Brew settings [Classic, Rich, Brew Over Ice, and Specialty], you get the exact intensity of coffee that you desire. I’ve found that by brewing a Rich Brew, I can use less coffee [just 2 scoops] which makes our coffee habit easier on our grocery budget. Now the Ninja Coffee Bar makes fabulous coffee, but it’s the extras that this machine provides that really makes it the best machine choice for us. The Ninja Coffee Bar recipes booklet, that comes with your new brewer, shows the vast array of drinks [both hot and cold] that you can make right at home. Since it’s mid-October, there was but one drink on my mind… a Pumpkin Spice Latte, of course! 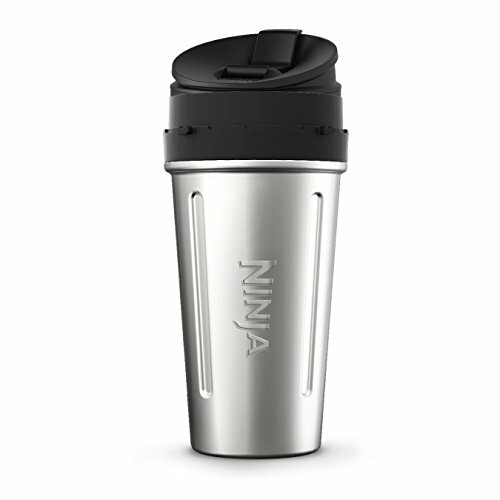 Now, the secret to making the perfect Pumpkin Spice Latte just happens to come with the Ninja Coffee Bar. It’s the froth, ladies and gents! The Ninja Easy Frother™ is the greatest thing that has ever happened for at-home coffee. I’m telling you, with this simple little machine I can make a PSL that rivals the stuff in the white cup with a brown sleeve. It’s really easy to use too – just heat up your milk, brown sugar, and pumpkin pie spice in the microwave, pump the frother, and pour it right into your Speciality Brew! This is a great, less expensive alternative from Amazon if you don’t already have a frother. This is my favorite of all the Ninja Coffee Bar recipes – what’s yours? Brew your coffee in your Ninja Coffee Bar choosing the Specialty Brew. While coffee is brewing, place the remaining ingredients in the glass jar of the Ninja Easy Frother™. Microwave on high for 1 minute. Remove from microwave, secure lid, and pump the Frother 15 times. When brew is complete, gently pour frothed mixture over brewed coffee. Sprinkle with pumpkin pie spice for garnish. This is perfect for a coffee lover! It looks like a great coffee bar to have in my kichen! Omgosh!! 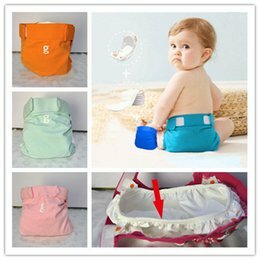 I didn’t even know this existed!! Going on my Christmas list!! And this recipe is the first thing I’ll make!! This looks so tasty! I can eat/drink pumpkin recipes year round!